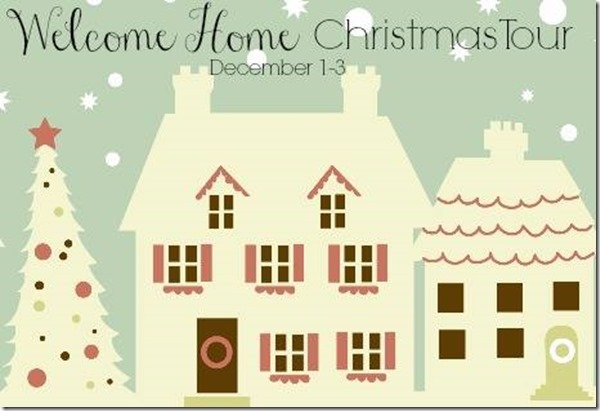 Today I am joining more of my blogging friends in the Home For The Holidays Tour. 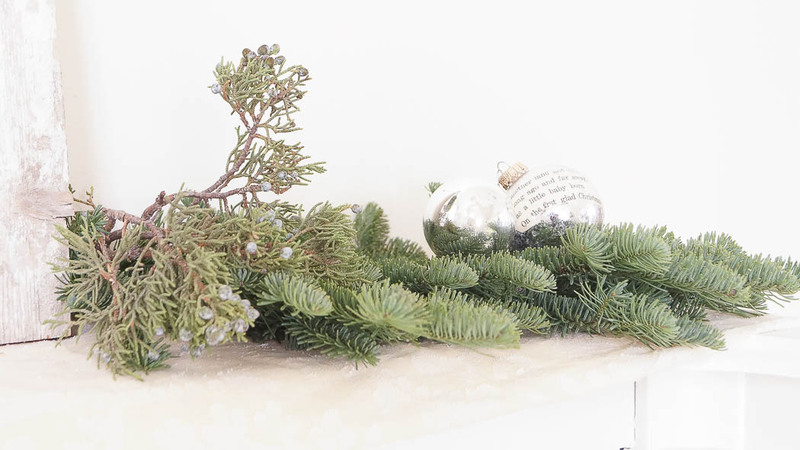 I’ll be sharing a little more of my home today, and simple vignette Christmas decorating ideas. This year I’ve decided to do things much simpler than I have in the past. The older I get the lazier I am with decorating my home for the holidays. 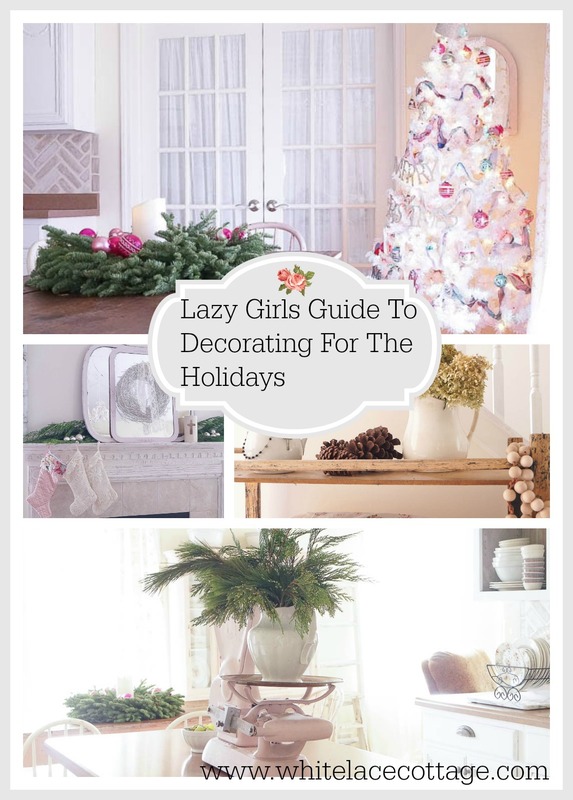 Yes, this is the lazy girls guide to decorating your home for the holidays. WOW, that’s very wordy isn’t it. 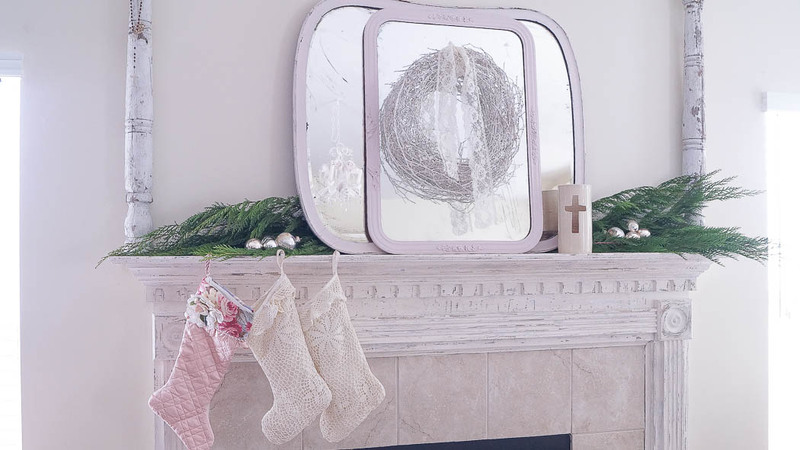 Yesterday I shared my mantle vignette, I love keeping things simple, you can read about that HERE. This lazy girls new favorite word is simple, keep it simple. I’m almost embarrassed to tell you all just how lazy I have been this year with my holiday decor. Let’s take a look at the photo below. Well…, I didn’t change this much, I just added a few pine cones and a bunch of dried hydrangea’s in my old white ironstone pitcher. 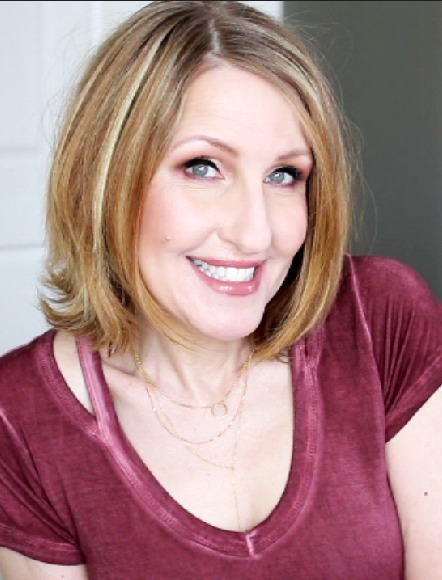 I told you that it’s all about simplicity with me, this year and every year! Although this year I really embraced simplicity the most. It’s really simple to create a lazy vignette, use what you already have a tweak it a bit. Last year I shared how to make this shabby rosary, you can read about that HERE. It’s fun to make and very simple too! In the same room, on my piano, I added a few fresh greens, along with a little bling from a few ornaments. Very simple and if you don’t want to use fresh greens then use faux greens. Look out in your garden for things that you can bring into your home and mix with your Christmas decor. In my kitchen I added this sweet vignette, just adding vintage pink shiny brite ornaments to a bowl, and that sweet lace tree that I recently shared HERE. I love this pink scale, I guess it’s meant to stay here in my home. I had it for sale a few times, it never sold so it’s here with me to stay. This was so simple to create, as the scale was already here. Hello….this lazy girl didn’t even move that scale! I just added that bowl of ornaments and that tree. I mean, how easy can this get?! In my kitchen, I don’t have one pink scale but two, so on my island sits my ginormous pink scale. I usually have a pitcher of roses on this scale, but I decided to add fresh greens for the holidays season. And that pitcher is placed on an old silver platter, perfect for Christmas and everyday! I love how soft these look in my pitcher. And you can see my lovely table wreath, centerpiece in the background. 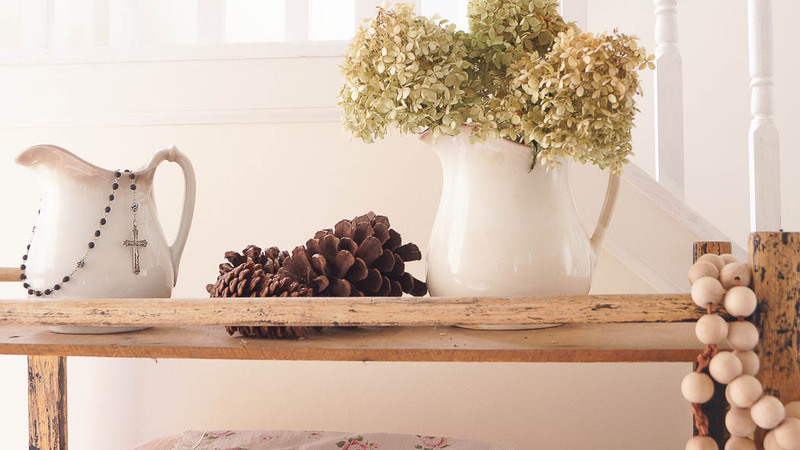 So do you think you can handle these simple vignette decorating ideas? The key is to enjoy the time with your friends and family, and don’t stress about decorating for the holidays! Come back tomorrow for a reveal of my kitchen. 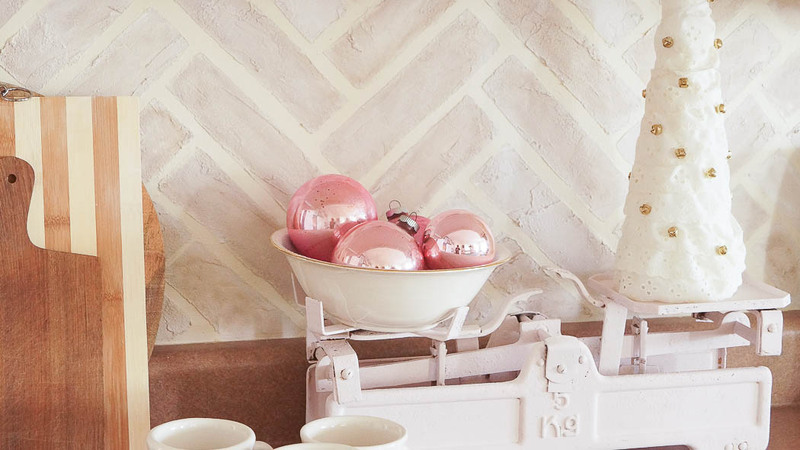 But make sure you hop on over to these other lovely blogs for more Christmas decorating inspiration! Perfectly you! I love that rack, I have one very similar and those white shoes on there wow those are spectacular! Lazy could be one way to say it, but I think smart and talented is a better way to say it, you’ve made Christmas without all of the stress of it! Inspirational! Simply gorgeous, Anne! Nothing more inviting than a laid back Christmas. Hi Anne, I love the name of the post! My favorite vignette is the pink scale and pink ornaments. Those touches here and there are lovely. The rosary you made is gorgeous! Beautiful!! 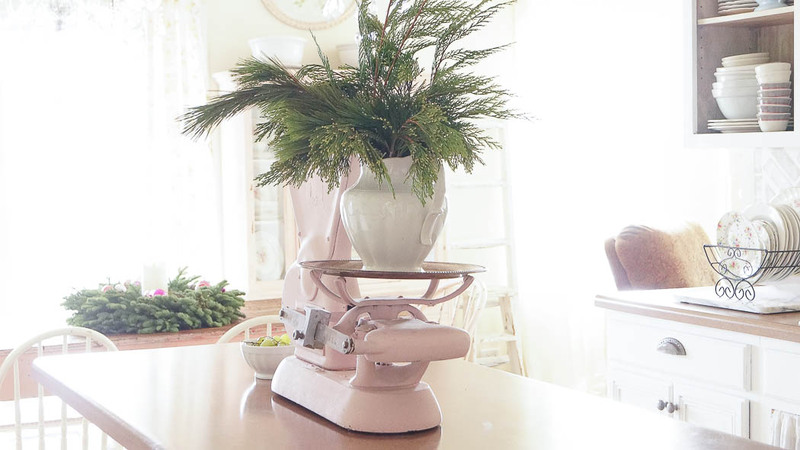 You must never put that pink scale for sale again it is definitely meant for your home. I love the wreath on your kitchen table with the candle in the center. So pretty! 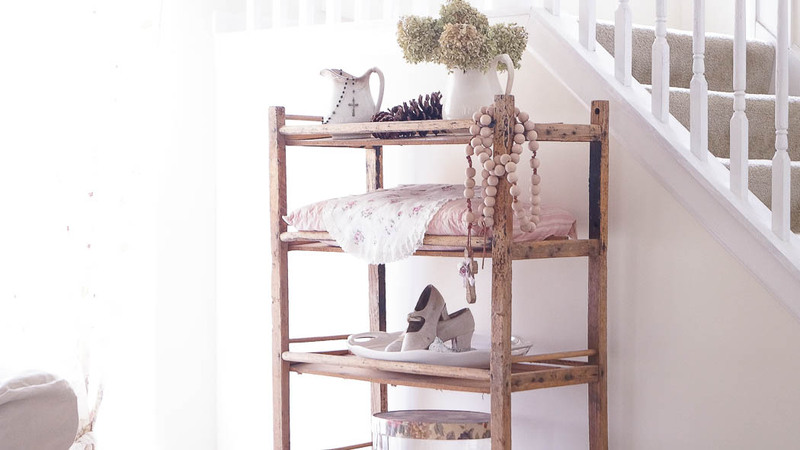 I need to take a tip form the lazy girl’s guide to decorating ha ha…your simple touches are beautiful! I love the fresh greenery in the pitcher, just beautiful! Merry Christmas!